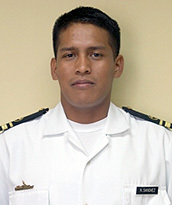 Lieutenant Commander Gustavo Adolfo Gómez-Pimpollo Crespo is a hydrographer in the Spanish Navy Hydrographic Office. He graduated with his degree from the Spanish Naval Academy in 2000 and completed his Specialization Course in Hydrography and Oceanography for Naval Officers in 2005. He is currently studying for an Informatics Degree at Spanish Open University. Gustavo likes soccer very much, and spending his spare time with his wife, Ana, and their daughters, Paula and Ana. Commander of the Hydrographic Boat “RIGEL” (from 2006 until 2007), participating in several hydrographic surveys of the continental shelf. Chief of the Department of Navigation in the Hydrographic Ship “ORION” (2008), participating in several oceanographic cruises in the Ecuadorian territorial sea and Galapagos Islands. Commander of the Hydrographic Ship “SIRIUS” (June 2012 to February 2013), participating in one oceanographic cruise of all the Galapagos archipelago to monitor the "El Niño" phenomenon. Before arrival to New Hampshire he was the Chief of the Marine Researches Station in Galápagos Islands (from February to July of 2013). His biggest passions are sailing, playing soccer and spending time with his wife Karen and daughter Romina in the beach. Hemanaden Runghen is currently an Associate Research Scientist working for the Specialized Unit on Ocean Matters under the Prime Minister’s Office of the Republic of Mauritius. He received a Bsc (Hons) Mathematics in 2000 from the University of Mauritius and a PhD (numerical modelling and Geographical Information Systems) from the University of Mauritius in 2009. He has been working on the Extended Continental Shelf submissions for the Republic of Mauritius to the UN CLCS since 2008. He is currently working on the maritime exploration and exploitation of the Joint Management Area of the Republic of Mauritius and the Republic of Seychelles. 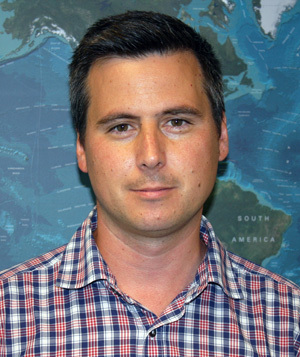 He has also contributed to the project: Bathymetric survey of the shallow lagoons of Mauritius and Rodrigues within the Mauritius Oceanography Institute. He enjoys badminton, football, snooker and good movies. Daishi Horiuchi has worked for the Hydrographic and Oceanographic Department of the Japan Coast Guard (JHOD) since 2009. 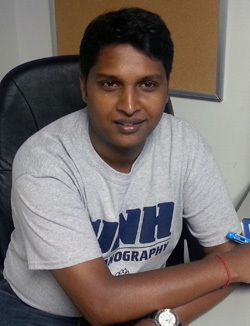 He took part in hydrographic surveys in the offshore area operated by JHOD several times. 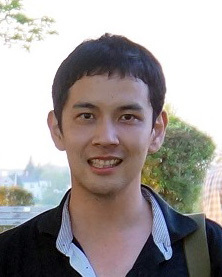 He earned his master’s degree in science from the University of Tokyo in 2009. His major was short term climate changes in the Last Glacial Period. He likes jogging, hiking, and taking photographs of beautiful scenery. 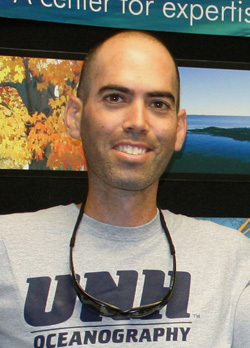 Tomer Ketter is affiliated with the Department of Geology and Coastal Process of Israel Oceanographic & Limnological Research (IOLR), and holds a B.Sc. in Marine and Environmental sciences from Michmoret School of Marine Sciences, Ruppin Academic Center (2007) and a M.Sc. in Marine Geo-Sciences from the Charney School of Marine Sciences, University of Haifa (2013). Tomer gained experience in the fields of multispectral image analysis, GIS and navigation. Tomer enjoys running, hiking and climbing with friends. 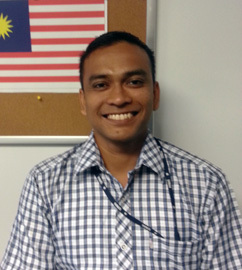 Lt Cdr Ramli Mohd RMN is a Hydrographic Surveyor with the National Hydrographic Centre of the Royal Malaysian Navy. He is the Head of the Meteorological Unit, and it is his responsibility to prepare and furnish the daily meteorological briefings required to support the maritime operations of Royal Malaysian Navy. He received his BSc (Marine Science) from University of Putra Malaysia in 2002 and received his Category B (Hydrographic Survey) certificate from the National Hydrographic School in Goa, India in 2008. He is currently pursuing a Post Graduate Certificate in Ocean Mapping and training to be an IHO/FIG Cat A Hydrographic Surveyor. He is very interested in football and travel.